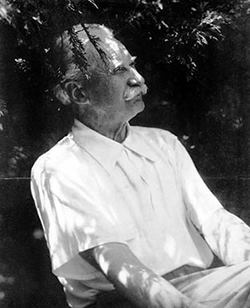 Danish-born Jens Jensen helped develop Chicago’s park system. He’s also credited with helping preserve much of the Indiana Dunes. As the temperature rises, thousands will be flocking to the Indiana Dunes this summer. But if it weren’t for a little-known landscape architect, the miles of beaches along southern Lake Michigan might not exist today. Jens Jensen first became known for his pioneering work on Chicago’s park system a century ago. The new documentary Jens Jensen, the Living Green also shows his role in saving the Indiana Dunes from industrial destruction. WBEZ’s Michael Puente recently sat down with the film’s director Carey Lundin. She began by talking about how the Danish-born Jensen first ended up in Chicago.